Take your advertising campaigns to the next level! 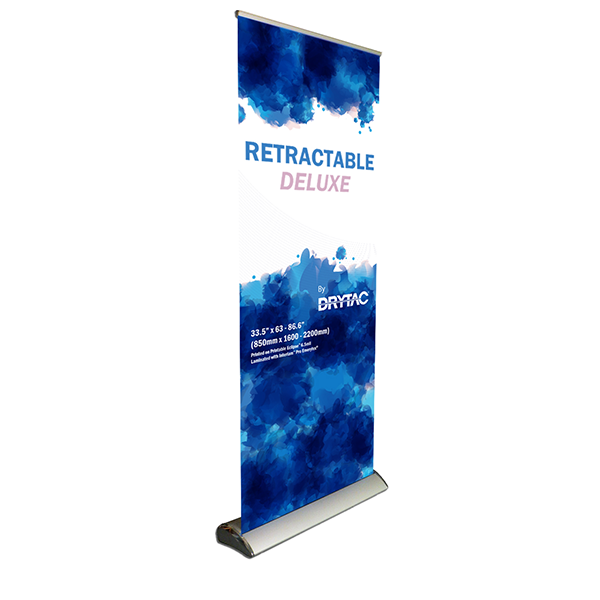 An economical, stable roll-up banner stand, The Retractable Deluxe is ideal for high-volume POP applications such as in-store promotions and advertising campaigns. The stand has a silver base and a clip roller with an adjustable spring. It also has a telescopic pole, which allows for easy height adjustment from 63” (1600mm) to 86.6” (2200mm), that can be stored in the stand’s base for convenience. It comes standard with a carrying bag and is compatible with an optional universal light. The Retractable Deluxe must be ordered in cases of four. *This product is only available in the North America market.